Shareholders are questioning the impact on Intel stock of the extreme dissonance between the values the company upholds and the values some of the politicians it funds publicly and professionally promotes. Northstar Asset Management hold near 80,000 shares, totaling around $4 million of Intel stock, and is looking for answers from the chip giant. Intel held its 2018 annual shareholders meeting last week, in which three proposals were voted on by a grand total of 4.7 billion outstanding shares. One of these proposals recommends Intel justifies its political spending, which some shareholders believe don’t match up with Intel’s company values regarding diversity, climate change, and discrimination. Don’t get lost in the codenames. Here are the best CPUs for gaming in 2018. 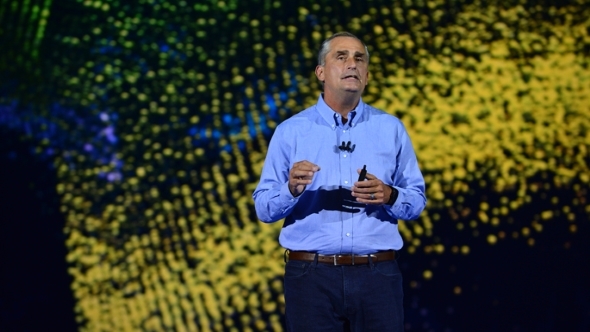 Intel has a reputation for being vocal advocates for diversity, even dedicating a large sum of money – $300 million, to be precise – towards this mission back in 2015. Since that time, underrepresented minority employees in leadership positions has increased by 27%, and Intel has moved its goal for full representation within the company by 2020 to instead reach this milestone by 2018. 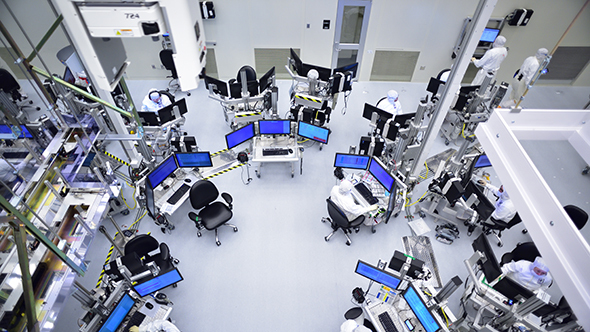 While there’s always more to be done to benefit inclusionary policies and equality – Intel’s US workforce is still overwhelmingly made up of men from non-underrepresented backgrounds – Intel’s stats indicate a trend towards greater diversity and inclusion. Intel contributes internally to diversity programsspearheaded by chief diversity and inclusion officer, Barbara Whye. 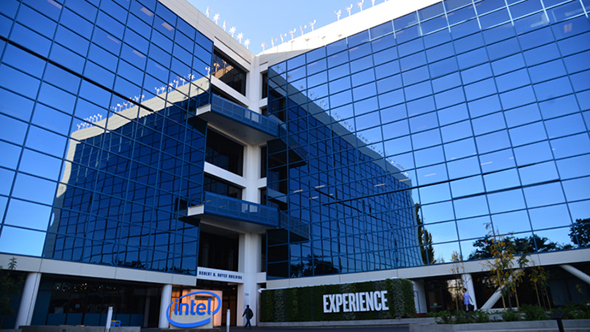 But it also make efforts outside of the company through initiatives such as the supplier diversity investment program, which aims to spend $1 billion by 2020 with suppliers that support Intel’s goals in diversity, sustainability, and education, as well as provide internships for underrepresented minorities. For some shareholders, however, this corporate ethos of inclusion and diversity doesn’t quite match up with donations to politicians made by the Intel Political Action Committee, or IPAC for short. IPAC was created back in the ‘80s to fund candidates for public office “whose legislative goals align with Intel’s public policy priorities” as outlined by Intel’s accountability document. This committee utilises voluntary donations from Intel’s employees and directors to fund various political groups and support key policy issues. For the record, corporate funds from Intel are strictly forbidden. For example, according to proposal six outlined at Intel’s stockholders’ meeting, IPAC contributions from 2015 to 2017 include 15 members of US Congress that voted against the Employment Non-Discrimination Act, which prevents discrimination in hiring based on gender identity or sexual orientation. Other contributions, outlined by NorthStar, include 20 members of US Congress that voted against an amendment to the Justice for Victims of Trafficking act, and 51 members of US Congress that have been identified as climate change deniers. Something doesn’t add up. 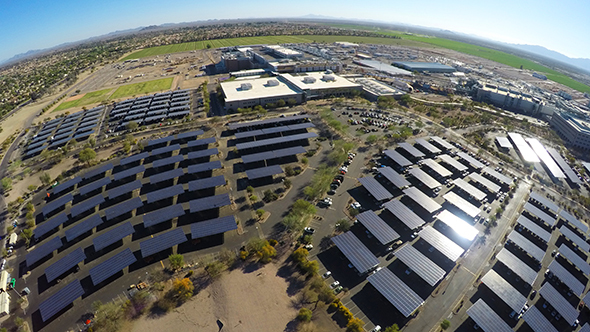 Intel vocally supports the US reentry into the Paris Climate Change Agreement, as-per-policy and itscorporate responsibility report tells largely the same story. This same company policy directly outlines the threats of climate change, yet Intel’s PAC donations have been actively funding some politicians identified as refusing to acknowledge its existence. However, NorthStar Asset Management wants to open these political donations to discussion. NorthStar Assets Management is a “socially-responsible” investment firm based in Boston, who focus on shareholder engagement, targeted giving, and challenging income equality and the wealth gap. It also holds 79,040 stocks in Intel, which equates to over $4 million in value. That puts the company in a rather interesting position as advocates for change, yet also with a substantial vested interest in the continued success of Intel. Despite its shared financial interests, NorthStar doesn’t pull any punches when it comes to its shareholder activism and upholding its beliefs. The firm put forward proposal six at the shareholders’ meeting, which aimed to incite a vote on a cost-benefit analysis report into Intel’s PAC contributions. The firm tried a similar resolution back in 2017, and has been involved with Intel regarding its political contributions since 2012. “Given the recent controversies regarding misconduct of politicians and around electioneering contributions in general,” the proposal says, “as well as the apparent misalignment between many Intel-directed political contributions and company values and policies, shareholders are concerned that benefit to the company of influencing policymakers through Intel-directed political contributions may not outweigh the risks associated with these contributions. The proposal landed on deaf ears, however. Intel’s board of directors recommended that Intel’s shareholders vote against the proposal, and the shareholders listened. Only 7% of shareholders voted in favour of the proposal. The previous year’s proposal to hold an annual advisory vote on political contributions was also rejected by shareholders, as per the recommendation of the board of directors. We spoke with the director of shareholder activism at NorthStar Asset Management, Mari Schwartzer, who outlined proposal six made at the 2018 annual shareholders’ meeting. “Regarding our shareholder proposal at Intel for this year, we would like Intel management to perform deeper analysis on political contributions made by the company and IPAC, specifically related to how the voting records of those political candidates may pose a risk to the company if and when they are misaligned with the company’s values, goals, and policies.” Schwartzer says. “The end goal is to encourage the company to perform this analysis in order to protect shareholder value from the risks that may come from misaligned political contributions, but also to encourage conversation within the company to evaluate candidates in a more complete, holistic manner. Intel has also provided a response to the proposal in support of the board of director’s decision to vote against it. Intel’s political donations are no secret. The company works with a high degree of transparency – evident by the database of candidates supported by Intel’s PAC. The company’s spending is also evidently bipartisan throughout, with around 90 Democrat candidates receiving funding, and around 85 Republicans in 2018. Contributions also vary between both supporters and naysayers on many of the issues outlined in the proposal. For NorthStar, however, the buck doesn’t end with transparency. The firm isn’t convinced Intel’s current course of action is accomplishing enough to combat what NorthStar refers to as ‘misaligned’ contributions. “We find Intel’s response to the proposal to be insufficient,” Schwartzer says. “While Intel provides disclosure on its political contributions, simply disclosing contributions may not protect shareholder value, nor does it demonstrate comprehensive research in advance of these contributions. It’s not the legality of these political contributions being brought into question, however, it’s whether these political relations could clash with Intel’s vocal stances on social issues, equality, and the environment, and could also damage the company’s socially-positive reputation. In that regard, there is an obvious dichotomy of views between what Intel as a company holds dear and what IPAC determines is worthwhile, and net positive overall, when making contributions. Whether this funding has any effect on Intel’s reputation, however, is really up to many of you – Intel’s customers.